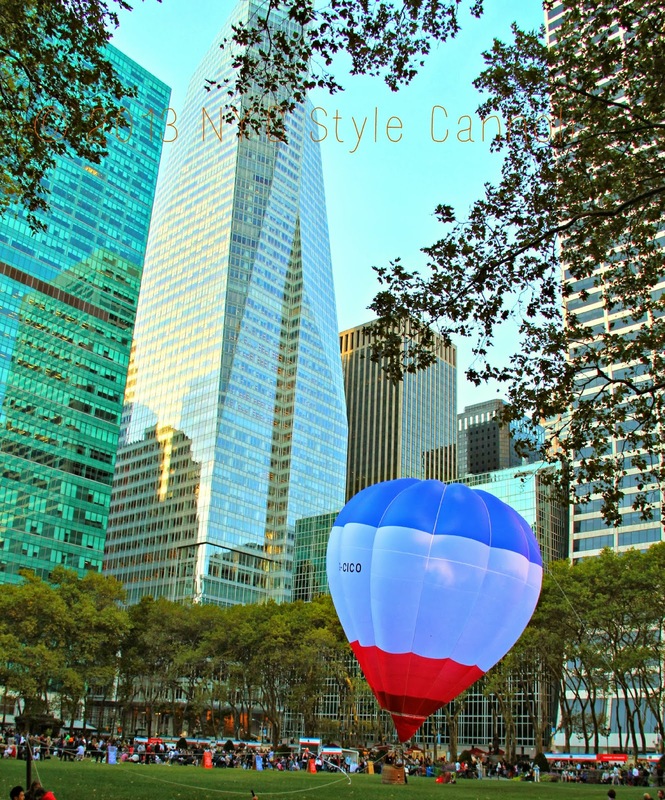 I attended the Taste of France the end of September and it was a gorgeous day for an outside event in Bryant Park. 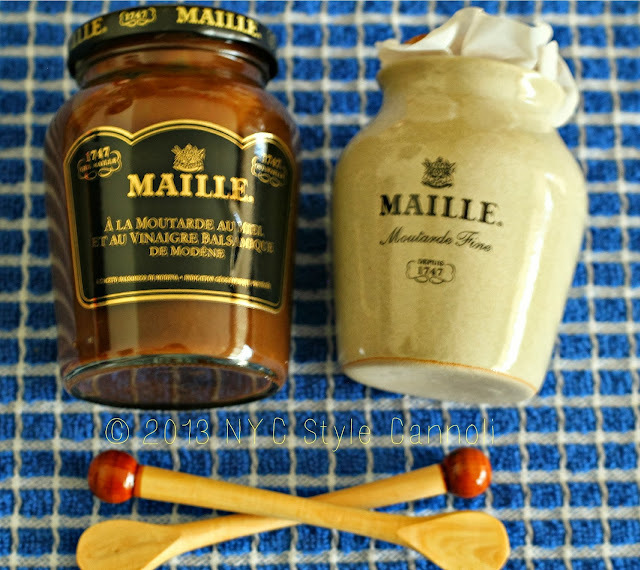 Maille, the award-winning French brand that has set the Dijon mustard standard for 265 years. 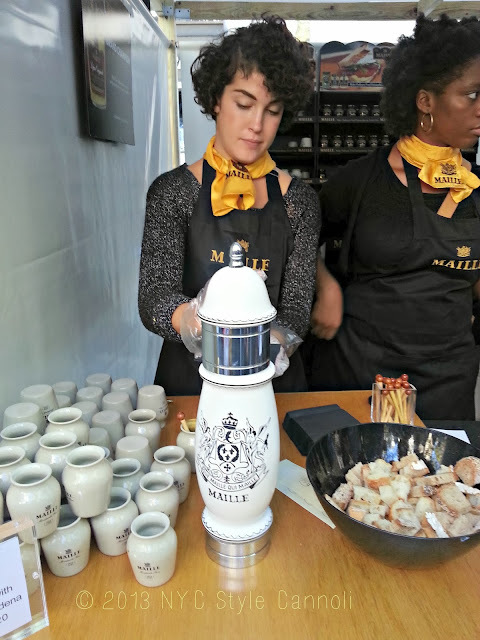 During the two-day Taste of France Market, Maille will set up a mini-boutique to sample, fill to order and sell jars of its renowned Chablis Dijon Mustard ‘on tap’. They make a lovely variety of mustard that are beyond the best you will enjoy. This will be the first time that this French delicacy will be available for sale in the United States. After the Taste of France is over, the only place to purchase Chablis Dijon Mustard will be by visiting the Paris or Dijon boutiques and purchase it there. A mustard experience only available otherwise in the two exclusive boutiques of La Maison Maille in France and, since July, at the Fromagerie Hamel in Montreal, this must-try Dijon mustard is served from an authentic French porcelain mustard pump, the very same method by which Maille founder Antoine Maille served European Royal courts. Imported under refrigeration from France, this mustard is a subtle match between Chablis, the celebrated white wine of the Burgundy region of France, and freshly prepared mustard. Celebrated for its creamy consistency and nuances of spiciness, Chablis Dijon pairs well with fish, white and red meats. This was just amazing. To think this mustard was first made 265 years ago, and we are still enjoying it today is mind blowing! The flavor of this gem of a condiment is so rich and smooth. 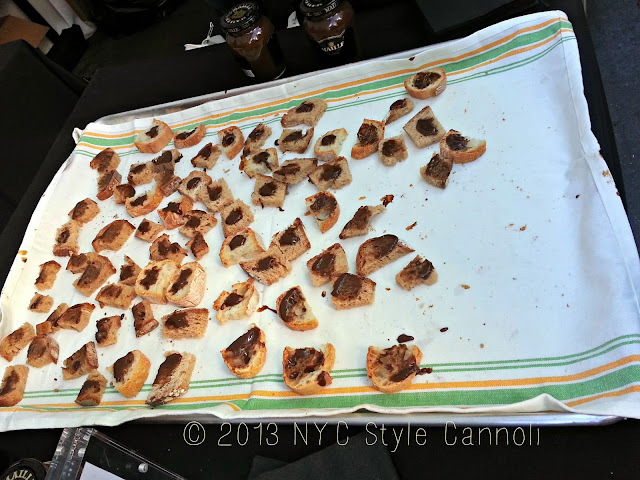 The Honey Dijon Mustard with Balsamic Vinegar of Modena will be available in the US around April 2014. It is so so amazing and you can do so much with this incredible mustard! My goodies that came home with me, the 3.5-ounce traditional earthenware mustard pots filled to order and closed with a charming cork stopper, and the Maille’s Honey Balsamic Mustard. I am one happy person, let me just tell you that much!! 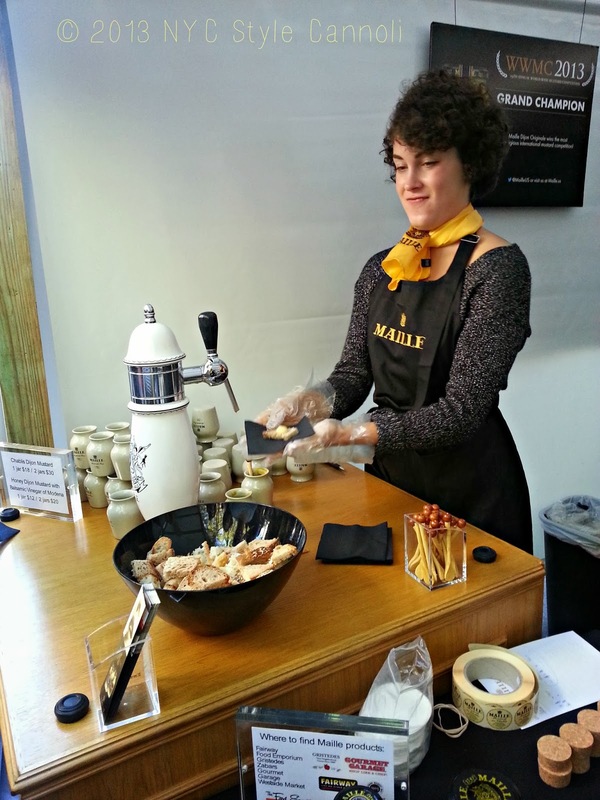 Maille is committed to the belief that the right condiment can define a meal. 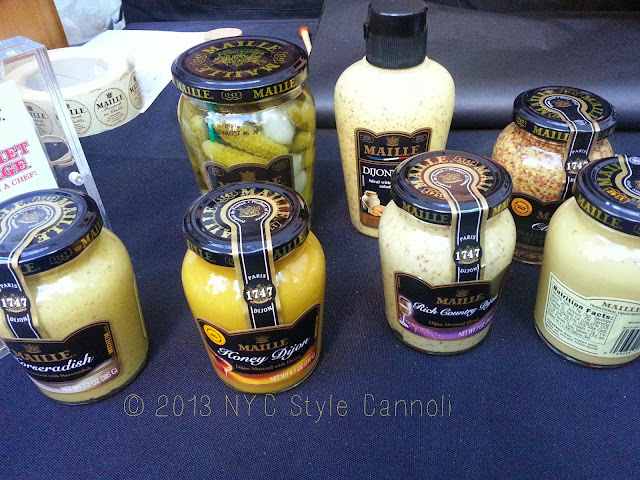 A big Thank you to the lovely ladies at the Maille booth, and I am thrilled to be able to enjoy this mustard with my mom. 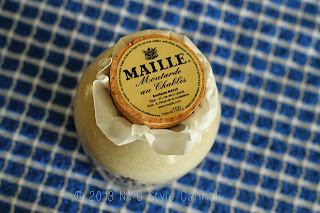 I do not think you can go wrong with any of Maille's products. They have perfected the process for making the best condiments in the world. i love dijon mustard and this looks delicious! i love their packaging. glad you had a great time and thanks for showcasing this brand! :D have a great week. Sounds like a great event. Maille is my favourite brand of Mustard. Great flavour! I had no idea it had such heritage. 265 years! Not many brands stick around that long. Just goes to show how important having a quality product is.